Natural disasters – Why are they becoming more common? In recent times the world has witnessed natural disasters, climate change and global warming of unprecedented proportions. According to spiritual research, the primary cause of increased natural disasters such as earthquakes, floods and volcanic eruptions is a cyclic process that occurs in the Universe over time. The effects of natural disasters we have so far witnessed are just the beginning of a destructive phase, which will increase in intensity over the next 5-10 years. The destructive phase of a cycle can be worsened by humankind’s poor behaviour towards nature. The poor behaviour that we see nowadays is an outcome of the reduced spiritual consciousness of humans and resultant inability to gain protection against the influence of negative energies. 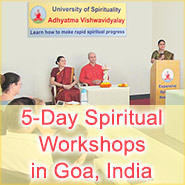 Spiritual practice is the only way to truly transform our spiritually polluted mind into a pure one. 2. What causes natural disasters and climate change? 2.2.3 Facts about natural disasters: What happens when there is an increase in Raja–Tama? 3. When will the effects of climate change begin to subside? Over the past decade we have seen an increase in the intensity of natural disasters worldwide. Through the media and for some of us, through first-hand experience, we have witnessed the awesome force of nature. In the recent past, we have had natural disasters created by the tsunamis in Southeast Asia and Japan, the earthquakes in Pakistan, Haiti and China, as well as hurricane Katrina and others in North and Central America. These caused unprecedented devastation and great loss of life that have been etched in our minds due to their magnitude. Some facts about natural disasters are available through statistics of the International Strategy for Disaster Reduction, and the Centre for Research on the Epidemiology of Disasters, a subsidiary of the United Nations. They show that there has been an increasing trend of natural disasters, especially over the last two decades. The world’s most prestigious scientific bodies also agree that the Earth is getting warmer. NASA (National Aeronautics and Space Administration) stated in 2016 that there has been a rise of about three-quarters of a degree Celsius in the temperature on Earth over the past century, with much of that global warming effect taking place over the past few decades. Some national scientific academies claim that human activity has played a major part in causing global warming and the rise in natural disasters over recent decades. Modern scientists say this is because each year, human activity causes billions of tonnes of greenhouse gases to be released into the atmosphere. But what actually causes global warming? Why are natural disasters increasing in intensity? In what way do humans affect the changing climate? Are greenhouse gases the major contributing factor to global warming and the increase in floods, earthquakes and volcanic eruptions? We undertook spiritual research to determine the actual causes of climate change and the increasing intensity of natural disasters. SSRF’s spiritual research (conducted through advanced sixth sense) took a holistic approach wherein all three dimensions (i.e. physical, psychological and spiritual) were analysed to understand the underlying causes of climate change and the increasing intensity and frequency of natural disasters. The following sections explain the causes of global warming, natural disasters and climate change from this holistic perspective. Many geographers argue that the increased intensity of all natural disasters and temperature on Earth are nothing but a part of regular cycles on our planet. They say that similar cyclical changes in the past had taken us to the Ice Ages and had also brought us out of them. Through spiritual research we have found that cyclical changes do account for 30% of the underlying causes of the natural disasters we witness today (2016) and that they are in fact their basic cause. Spiritual science relies on eternal and universal spiritual laws to explain the cyclic changes that are the cause of natural disasters and climate change. 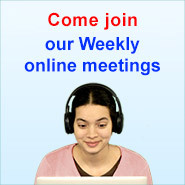 Here we will explain why cyclical changes happen on Earth from the viewpoint of spiritual science. It is the law of nature that whatever has been created is sustained, and eventually destroyed. This is the law of Creation, Sustenance and Dissolution. For example, the Himalayan mountain ranges have been created, they will be sustained and eventually they will be destroyed. Thus, whenever something is created in this world, after a period of being sustained, it can be expected that at some point it will be destroyed. Only the Creator, i.e., God, remains steady and unchanging. Destruction comes in many forms, natural disasters being one of them. The human race also facilitates this cyclical destruction process by its behaviour, which sometimes culminates in war and devastation, which accounts for the remaining 70%. Note: The table above is referring to one set of eras from Satyayug to Kaliyug. There have been many such cycles of eras so the Universe is older than the total sum of the years in the image above. To learn more read our article about the Age of the Universe and its Cycles. The time span of the universe is divided into four Eras. In the first Era, i.e., Satyayug, the subtle basic Sattva component was predominant. When there is a higher predominance of Sattva in the environment, cyclical changes are gentle. 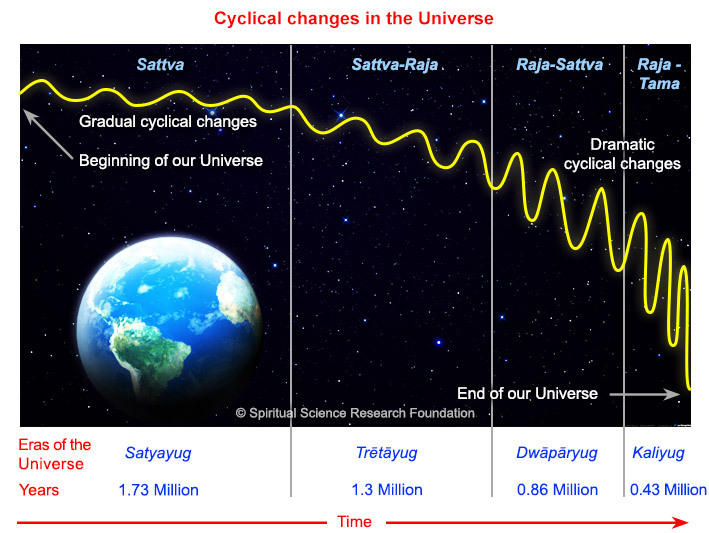 As the eras progressed there was a reduction in the Sattva component; thus resulting in cyclical changes with higher amplitudes. In the Kaliyug where the predominant subtle basic component is Raja, the cyclical changes in creation, sustenance and destruction are quite dramatic. Destruction is generally brought about by increased natural disasters, disease and war. We are in the midst of the lowest phase of destruction in one of the mini cycles in the Kaliyug. Each mini cycle generally lasts for 1000 years. The low phase of a cycle can be worsened if the human race adds to the Raja–Tama in the world. This is discussed in the section 2.2. The human race and nature affect one another. But through spiritual research we found that humans exert influence on the climate to an extent of 90% whereas nature reacts badly to man’s influence to an extent of just 10% through natural disasters, etc. We asked ourselves where this strong influence of man on nature stems from, and found that it arises at the physical, psychological and spiritual levels as follows. This happens when there is excessive cutting of trees, oil leakages, emissions from factories etc. This is the point at which we ask why people add to the greenhouse effect and pollute the planet. The answer to that lies in the mind of humankind. Each and every one of us is made up of three subtle basic components (triguṇās). The different permutations of these three subtle basic components define a person’s basic nature. Qualities in an individual’s personality such as tidiness, cleanliness, truthfulness, calmness, generosity, humility, etc. are signs of a predominant Sattva component. However, in today’s world the average person is filled more with the Tama component which is characterised by personality defects like selfishness, greed, anger, aggressiveness, possessiveness etc. Thus, people indiscriminately abuse the resources of the Earth contributing to an increase in natural disasters. One’s behaviour is heavily influenced by our spiritual maturity or spiritual level. 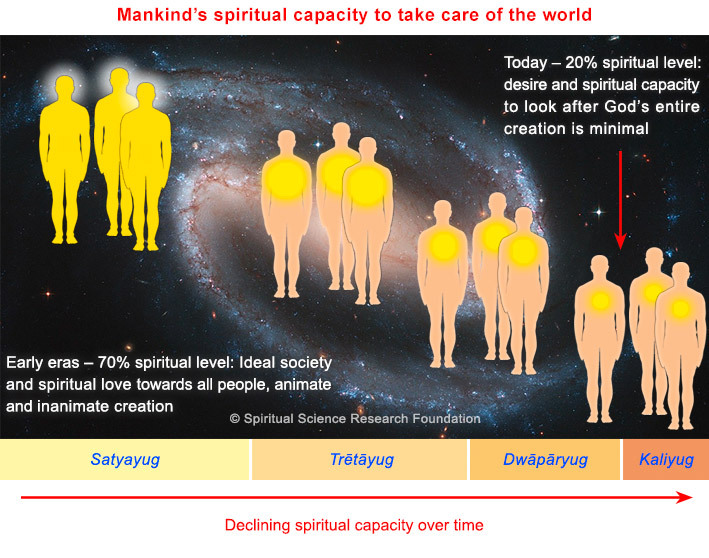 For example, a Saint at 70% spiritual level will have respect towards all living beings as a form of God, and will lovingly look after everything, from living beings to non-living objects. Moreover, a Saint’s spiritual love (Prīti) for all of mankind will nurture, inspire and motivate others to develop that same expansiveness in them too. In contrast to this, people at a lower spiritual level (e.g. 20%) would have a high ego and being selfish, focus only on achieving happiness for themselves, often at the expense of nature, humans and other living beings. Their behaviour and declining spiritual consciousness results in a predominance of unrighteousness in the world today. As a result, there is a rise in the Raja–Tama in the environment also known as spiritual pollution. Ghosts (demons, devils and negative energies etc.) from the subtle or spiritual dimension capitalise on this increase in Raja-tama of the human race. They find it relatively easy to possess people who are Raja–tama predominant and make them behave like animals. All this only further adds to the Raja–tama in society, leading to an increase in violence, unhappiness and natural disasters. Refer to the article on how negative energies affect and possess a person. Nature’s effect on man is nothing but its response to mankind’s bad behaviour. > Example 1: Water evaporation declines as a result of increased oil pollution in the planet’s oceans. > Example 2: If water is polluted, the plants that emit oxygen perish, and so there is a decrease of oxygen on Earth. Just as dirt and smoke make up pollution at a physical level, Raja–Tama is pollution at a subtle intangible level. As discussed earlier a general lack of spiritual practice and unrighteousness increase the overall Raja–Tama of humankind and hence the environment. An increase in the Raja–Tama subtle basic component means an increase in the subtle intangible spiritual pollution of the world. Just as we try to clean dirt out of the spaces that we use from time to time at a physical level, nature responds to the need for cleansing and correcting the subtle intangible pollution of Raja–Tama in the environment through the medium of natural disasters. The fact is, as soon as there is a tilting of balance in favour of Raja–Tama, the excess Raja–Tama exerts its influence through the medium of the five Absolute Cosmic Principles (Panchatattva). By acting through the five Absolute Cosmic Principles, it manifests in the increase of natural disasters such as earthquakes, floods, eruption of volcanoes, cyclones etc. Refer to the diagram below. Please note that by spiritual practice we mean spiritual practice that conforms to the six basic principles of spiritual practice. Refer to our SSRF Classroom section for more details. If the Absolute Earth Principle (Pruthvītattva) is influenced, it results in an earthquake. If the Absolute Water Principle (Āpatattva) is influenced, it can either give rise to an excess of water (such as floods or excessive snowing, giving rise to an ice age) or a lack of water (e.g., a drought). The above-mentioned natural disasters are grossly visible; hence we are aware of their existence. However, the increase in Raja–Tama has a far-reaching adverse impact on the body, mind and intellect of each and every human. This impact, being subtle and intangible, is not easily recognised and humankind becomes aware of it only when this impact manifests as very gross climatic changes. Unfortunately, at this point, most of the changes are irreversible. Efforts made by world leaders at international summits like COP21 in 2015 and later only help in combating the effects of global warming and climate change at a physical level. This is the part where the human race affects nature (i.e. the 19% in the chart above explaining the causes of natural disasters according to spiritual research conducted by SSRF). The rest of the effect of the human race on nature, which occurs at the mental and spiritual level, has not been recognised and therefore does not get addressed. If we do not change our ways at a mental and spiritual level (along with the physical measures such as reducing carbon emissions), it is inevitable that we will continue to experience the effects of global warming, unprecedented natural disasters and catastrophic war over the next decade. Only spiritual practice can transform the polluted human mind into a pure one. Currently there is an intense subtle intangible battle between good and evil. We have explained this in detail in our articles on ‘The battle of good versus evil’ and ‘World War 3 Predictions’. The catalyst behind most of the dark events we see in the news is primarily the activity of higher level ghosts. Ghosts of a higher order take advantage of the Raja–Tama in the human race and possess people. They capitalise on people’s personality defects such as hatred for others and make them perform the most terrible acts on their fellow citizens. All this further adds to the Raja–Tama in the world. Ghosts can also directly cause natural disasters by using black energy. For example, a powerful ghost can use the absolute Earth principle to trigger an earthquake. Ghosts can only be combated by spiritual means such as any effective spiritual practice that conforms to the six basic principles of spiritual practice. In our article on ‘World War 3 Predictions‘, we have provided the strong likelihood of catastrophic events of higher intensity happening unless humankind changes its ways and adopts a more sāttvik lifestyle and adopts spiritual practice as per the Universal six basic principles of spiritual practice. These catastrophic events will come in the form of both unprecedented natural disasters and wars. The destruction that will follow will be a cleansing of the planet of people who are more Raja–Tama in their basic nature. The climate change and effects of natural disasters will get worse before they get better. To give our readers an idea of the scale of destruction, the tsunami that hit Asia in 2004 created devastation that is approximately 1/1000th of the destruction that will happen to cleanse the planet of Raja–Tama. The weather patterns and natural disasters will begin to start settling down after 2025 and will come back to normal in about 50-60 years from 2025. Another interesting fact that we found through spiritual research is that the cause behind most biological disasters such as the deadly viruses on Earth, for example: AIDS, Ebola and Bird-flu is because of higher order ghosts. After 2025, when the battle between good and evil comes to an end within this mini-cycle of Kaliyug, there will be no introduction of new deadly viruses. The viruses that have been created however will remain on Earth and cures need to be found for them. The planet’s warming, climate changes and natural disasters that have alarmed us all are just the beginning of a spiritual cleansing period to rid the world of Raja-Tama. In this process of intense destruction through war, floods, earthquakes, volcanoes, etc. over the next 10-15 years, humanity’s spiritual consciousness will also rise and will become closer to God. In our article on ‘What can I do as a citizen of this world?’ we have elaborated on various options that we have as humans to minimise the effect of natural disasters and this imminent cycle of destruction. Will global warming solutions succeed without internal change in humans? This Holy text explains aspects such as why a person becomes sinful, why a criminal continues to sin even after he is punished and how chanting God's Name nullifies sins.